How often do you go to a restaurant or see a movie because a friend recommended it? That opinion probably means a lot more to you than online reviews from strangers or any advertising you see, because it’s from a real source you trust. 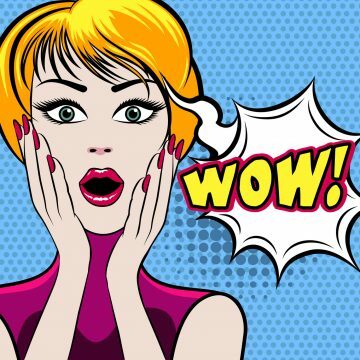 According to a study by Ogilvy, Google, and TNS from 2014, word of mouth was listed as the largest influence on consumer purchases. From that same study, search and company websites “influence rankings” were much lower, having less of an effect on consumers than other sources. 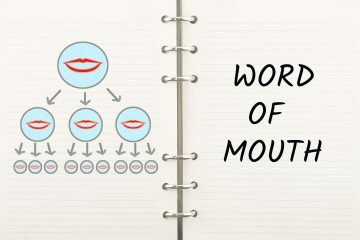 As marketers, it makes sense to encourage word of mouth as much as possible, but we often fall short after a purchase. One reason is because it’s hard to track ROI from word of mouth, but clearly it’s a valuable resource. Let’s start with the difference between a customer and a promoter. A customer might talk about your product if somebody asks about it, depending on the conversation. A promoter, though, goes out of their way to recommend your company. They are so impressed with their experience that they want to share it with the world. Again, word of mouth is the largest influence on consumer purchases, so people will be more likely to buy from you over your competitors. Consumers will trust what their friends say over any other type of marketing. Since they are avid fans of your service, promoters are more likely to leave positive reviews, defend your company against negative criticism, and be your voice in places you can’t be. They also give your business more credibility and consumer trust, something so many others are lacking in our online world. Clearly, between the customer or promoter, you want promoters. But it’s tricky to actually attract them. Not only does it require extra effort, but a lot of planning and forethought. Simply sending an email thanking them for their purchase isn’t enough to convince them to become one of your biggest fans. You want them to fall in love with your business and spread that love to others. Here are a few tips to remember when making a plan to convert customers into promoters. Creating promoters starts long before they purchase your product. The main emphasis of marketing is to do whatever you can to convince consumers to buy. Because of this, sometimes marketers oversell their products. But overselling leads to dissatisfied customers, which is the opposite of what we are trying to do. If you slightly undersell your product, and then go that extra mile to blow them out of the water, you end up creating extremely satisfied customers. Happy customers then become promoters who will talk about how great a job you did. A few examples of over performing include things like customer service, presentation of the product, and the product itself. If you do it right, you can impress customers so they’ll want to share their experience, both in person and online. Consumers want to get as much as possible for their money. So giving them unexpected extras makes them happy. It doesn’t have to be anything crazy or extravagant, but something related to the product and is helpful becomes a nice little gift that surprises your customers. This alone probably won’t push somebody into becoming an avid promoter, but it’s a nice nudge in the right direction. 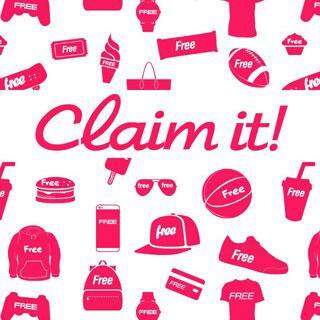 Great freebies are ones that solve common problems that arise with your products. That way, consumers feel like they have the tools at hand to fix it without having to turn to you. It shows that you understand their needs and are ready to fix them. Purposely pointing out that the product is free and that you are going out of your way to help solve a problem will impress consumers and help retain their attention. For example, let’s talk about waiters and mints. In a study from the Journal of Applied Social Psychology, they examined the correlation between giving mints to guests after a meal and the tips the waiters received. If the mints were given with the check, with no mention of them, there was a 3% increase in tips. Patrons just saw them as part of the dining experience and didn’t think of them as a freebie. On the other hand, if one round of mints was given with the check and then the waiter came back with a second round of mints and mentioned they thought the consumers might like some more, this resulted in a 21% increase in tips. The consumers were so impressed with the extra round of free mints, they had a better dining experience and thanked their waiter with a bigger tip. These consumers are probably also more likely to promote that restaurant. You’re not only selling your product, you are also selling your brand. Unless your product warrants several repurchases, many customers will buy once and forget about you. Your business needs to give them a reason to follow you. Becoming an entertainment or news source is a great way to achieve this. You can do this through social media, blogs, emails, or whatever else works for your client base. Creating great content that’s easy to digest will keep promoters invested in your business and keep you top of mind. Sometimes, things go wrong, so having great customer service for every issue is important. Rapid responses to problems and going that extra mile to fix them can transform a bad experience into a great one. Even if a problem isn’t necessarily your fault, going out of your way to fix it helps your customers feel loved, and they will, in turn, share that love with other people they know. 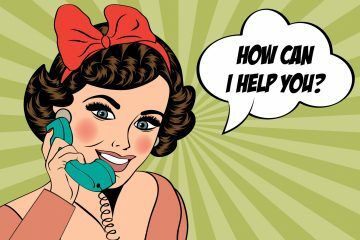 It’s no secret that customer service is important, but when it comes to promoters, it’s a huge factor. 55% of consumers are willing to recommend a business based off of outstanding customer service, according to a study from RightNow and Harris Interactive. That’s only from customer service, which is huge compared to recommendations that stem from the product (49%) and pricing (42%). If you are looking to create promoters, your customer service needs to be a top priority. Just because a customer purchased your product doesn’t mean you’ve instantly gained a promoter. You now know some tactics to gain promoters, but here are some to avoid. Recruiting promoters isn’t easy, so it might be tempting to give your customers an extra incentive. This is a slippery slope that can end poorly for your business. Especially if people think you are paying for reviews, as this can be disastrous. Smart consumers can tell the difference between an honest promoter and a paid one. An honest promoter simply highlights the product and what they like about it, but a paid promoter clearly has an ulterior motive. This transforms a customer into a salesman—not a promoter—and people can tell. To reach their referral “goals” or however you’re paying them, they start to spam social media and wherever else they can. Slowly your brand is associated with pushy sales, not happy customers. If you have a good product, people will talk about it. Those people would also love some recognition from you. They might be tweeting about it, posting pictures on Facebook, or sending you an email about how much they love it. Turning around and returning that love is great for keeping promoters, but ignoring them is a great way to destroy them. It’s just like being a celebrity. People love when their favorite celebrities respond to their comments, directly or indirectly, and interact with their fans. When celebrities ignore all of that, some call them snobby or arrogant, both words you don’t want to be associated with your business. Look at the greats for how to build a great promoter base. Here are a few examples of businesses that live and breath with promoters. 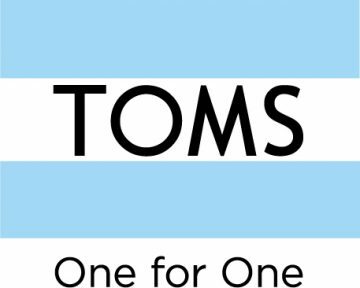 What started as an idea to provide shoes for children in less developed countries, Toms quickly gained worldwide attention, both because of their mission, and their promoters. This is a great example of getting customers to adopt the company’s mission and push it further, effectively becoming customers for life. During its most popular time, customers proudly displayed their Tom’s purchases and wanted to share with others, both in person and on social media. It quickly stopped being about the business, or even the product, and more about the social movement they started. When it comes to convenience, low prices, and great customer service, Amazon is one of the best. When growing from a small online service to the leader in online purchasing, Amazon always focused on keeping customers happy. 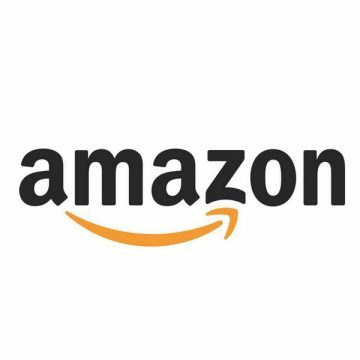 According to ACSI, Amazon has been the leader in retail customer satisfaction. That customer satisfaction creates promoters, even if it’s a bit subconscious. Amazon has hit the point where people endorse it without even thinking about it, saying stuff like “See if they have it on Amazon,” pointing people to the site before suggesting local retail stores. Netflix has taken the entertainment world by storm and disrupted how people watch TV. Starting with their mail-in DVD rental program, their big product now is their streaming service and have drastically changed the television industry. Netflix’s promoters are a little different than other promoters. Typically, people will recommend a show or movie, and add that it’s on Netflix. By having the latest and most popular shows, Netflix can constantly get this second-hand promotion while retaining its highly loyal fan base. Couple that with helpful customer service and a strong media presence and their promoters will only continue to grow. A New York-based small business, Claim It lives and breaths off of creating promoters. Their unique business model revolves around giving away free products to consumers just for having their app and using it in proximity of their pink van in exchange for watching a short video ad. The prizes they give away range from $5 gift cards to local businesses to iPhones and video games. Since they are giving consumers free products on a daily basis, it’s no wonder they are getting promoters. And these promoters are spreading the word, both on social media and through word of mouth. Everybody loves getting free stuff and telling their friends about the experience. It’s impossible to keep track of everything people are saying about your business, but social media helps. Using social platforms like Facebook and Twitter, you can capture quantifiable data on your word of mouth reach. This data can give you a better understanding of your word of mouth reach, and what promoters are saying about you. You should also use social media to reach out to current promoters and personally thank them. This thank you can include a warmly written message, a small gift, or whatever else will resonate with them. Retaining these promoters is a lot easier than recruiting new ones, and giving them recognition will keep them interested longer. Do you have a success story about promoters? What are you doing to recruit new promoters? Is there something you’ve done that’s been really effective? Let us know in the comments below. Nice article Ben. Aligns totally with everything I teach. I really like this concept of turning customers into promoters – I’ll do my best to implement your sage advice. Glad to hear you liked it! It isn’t even that hard to implement. Often times, turning a customer into a promoter requires a small simple extra that they weren’t expecting. Take that extra step and you’ll find your business booming. This is a lovely post. I totally agree with you. Once your product or service is of great quality people will promote it. However, I have found that sometimes you have to remind people to share because people are so busy that sometimes they do not remember to tell someone else or even to write the review. For example, I wrote a book after doing only part of Danny’s course and a number of persons liked the novella but I realize that when they told me about the impact the novella had on them, I asked if they told other about it,majority of them said they did, while a few did not remember. It was after sharing that recommendation took place. I have also discovered that these promoters encourage a repetition of that good work. A number of persons are asking me to give them the time for them to expect another book. I feel great about this because it acts as a motivation to continue and I have a ready audience. This is quite an interesting shot. By nature, we always want to experience what other people had talked about. Especially when they speak good of they product. And they’re people we trust. Because we trust them, we use their judgment and trust the product and their recommendations. I just now got around to reading your blog. Great advice, makes sense. Here’s something I do in my small gift shop: because I have a limit on credit card purchases, I often allow customers to walk out with a $4, $5 or $6 greeting card “on the Honor System” when they don’t have cash. Usually they don’t take me up on it; they’ll find another card to bring their total up. But sometimes, incredulously, they walk with the card. I always ask them to pay me next time they come in, and 9 out of 10 times they do!